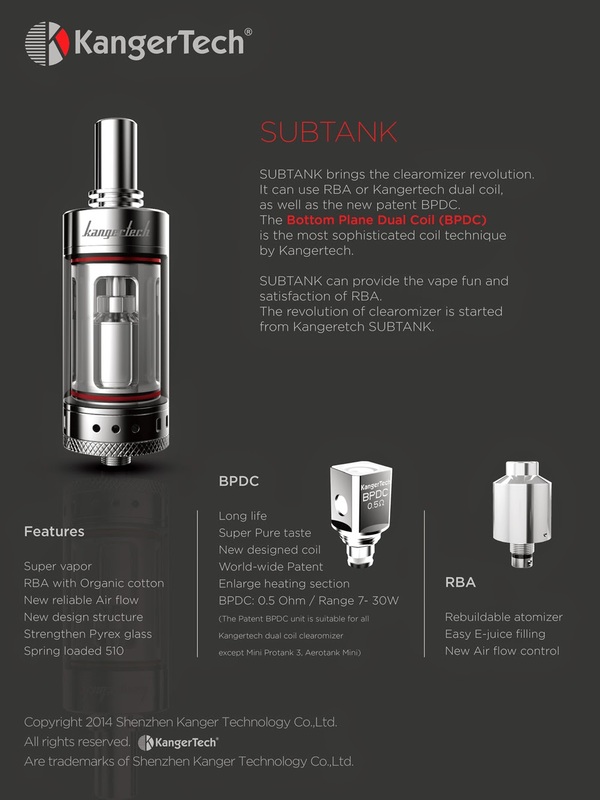 The revolutionary Subtank hybrid, A first of its kind. Giving you the freedom to switch between Kanger’s newly designed Bottom Plane Dual Coil heads (BPDC) and a new rebuildable atomizer head. With just a few twists, you can switch from a convenient vaping experience to getting down and dirty by making your own coils and choosing your own wicks to your pleasure. 101 WAS DOWN FOR A FEW DAYS – NOW BACK UP! Excellent mod for juice tasting! 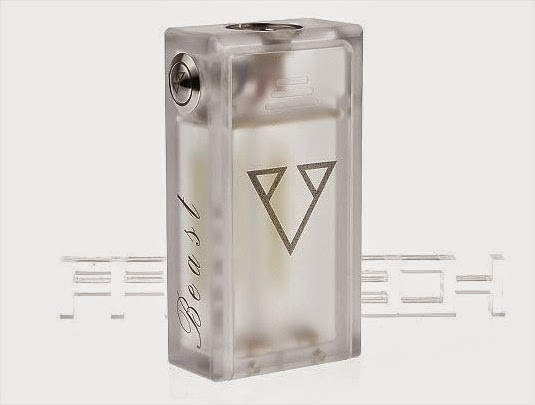 It is a miniature 18350 mechanical mod with a built in rebuildable dripping atomizer. It requires the use of ceramic wick that slides over the thin center post, you then attach the wire to the center post and wrap it around the wick. When you get to the base the wire screws to a negative post screw on the wall of the RDA. Want Originality? Airflow? Deep Juice Well? Affordability? Meet Mutation X RDA V2! This RDA feature an all new AFC and has 9 airflow holes on each side and it’s adjustable! Blowing gigantic cloud has never been easier! Huge Improvements Over V1. 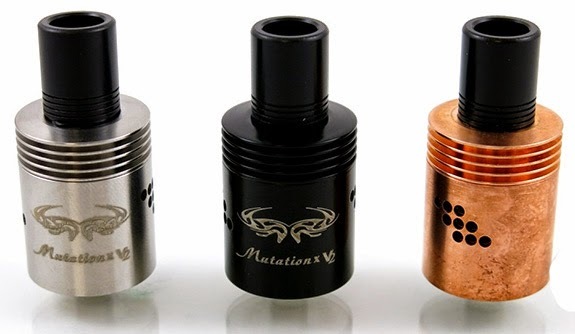 The Mutation X RDA V2 is an all US Designed RDA, features upgraded 18 air holes in a diagonal pattern to induce swirling, and its sliding blade styled adjustable airflow control allows you to blow clouds or just for flavor chasing like never before. Adjustable Airflow Control is now in a slicing blade style, to induce swirling to the next level! 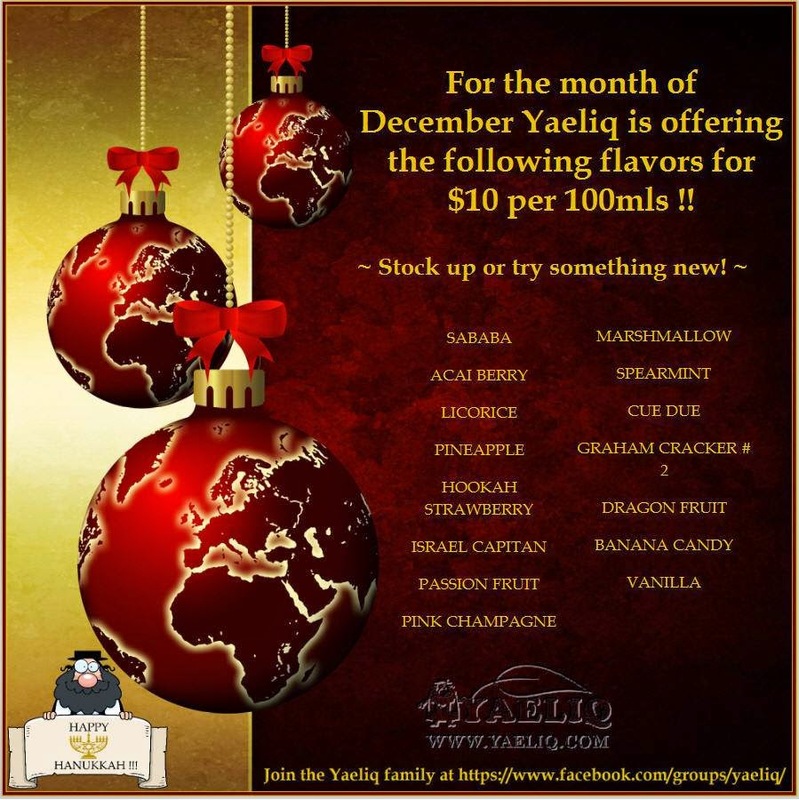 Give you the extraordinary flavor and cloud like never before! A solid rebuildable at a great price! This RDA is shipped from the USA! Just in time for Christmas for one of the most important people on your list…. YOU! The ZERO has been replicated, and is now available at a sweet price that will put you (and your wallet) in a festive mood. Operated by a single 18650, and built around the SX-350 chip, the ZERO Replica offers a range of 7-35 watts in a very handsome package. The mod is crafted from stainless steel and real wood, with a stainless steel cover that slips over to hold the battery in place. A premium styled, recessed 510 connector with adjustable pin makes it easy to achieve a nice flush fit for your atomizer. No attention to detail has been spared on this beauty. Charges by micro USB. Comes boxed with retractable charge cable and allen key. The deal is back on the 100mg nic base! I have used them in the past – its very very clean! For someone like me I can turn this into 16 LITERS ( 540 30ml bottles ) of juice at my nic level. Impressive for a very small investment. This is a great opportunity to ensure you have a supply for any issues that may arise. Great for mom and pop juice companies too! This is 100% flavorless nicotine base. All you need to do is cut it to your desired mg level, add flavoring to taste. I keep my nic in the freezer to extend its shelf life. Our famous Unflavored Nicotine “Smoke Juice” E-Liquid is made with the highest grade nicotine available. Buy with confidence knowing that you are getting the very best nicotine available and that it is always distilled from actual tobacco leaves not synthetically produced. For more information read below and click the link to see our latest batch testing results. Innokin has revamped the extremely popular MVP. It uses an ARM CPU? rofl? The Innokin iTaste MVP20W: 20 Watts of Intelligent Vaping Power in the legendary 100% Stainless Steel body of the Innokin iTaste MVP! The MVP20W has been powered up to 20Watts and upgraded with a better chip and a sleeker look. The iTaste MVP20W now has a high quality flush 510 spring loaded connection that is designed to connect perfectly with all standard 510 tanks. An EGO thread adaptor is packaged with the MVP20W so you can also vape with great tanks like the new Gladius-Vulcan. 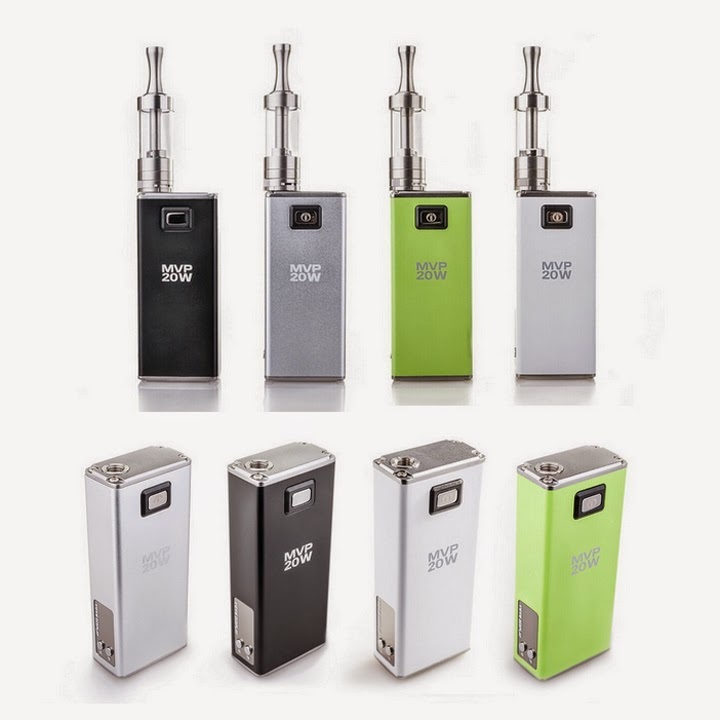 The MVP20W is variable voltage with a range of 3.3 – 7.5 volts adjustable in .1 volt increments and variable wattage from 6.0 – 20.0 Watts adjustable in .5 watts increments. The easy to use integrated ohm reader will display the resistance of any attached tank and the handy puff counter helps you keep track of your daily vape. The large capacity of the internal 2600mAh battery means you can depend on the long lasting power of the MVP20W and it’s also a backup portable charger that can power your mobile phone and other electronic devices. Flawless – the maker of the very popular tugboat RDA has come out with a new mechanical that promises to be a reasonably priced – hard hitting mod. 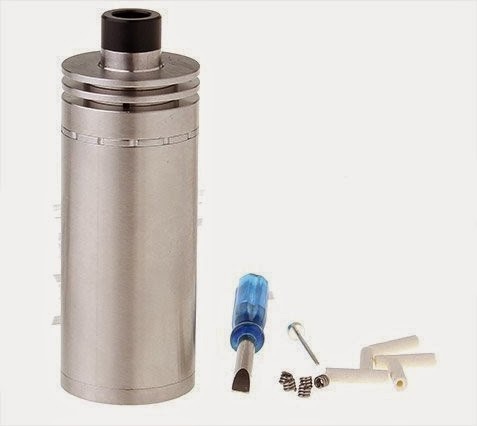 Considering the legit tugboat atomizers go for $60+ – this is a great deal on a his new legit mechanical. Tugboat Mod is machined out of 6061 T6 Aluminum with extreme precision. This ultra lightweight and ultra conductive mod is here to deliver both the performance and look! 22mm in diameter to fit most of your mod flush! 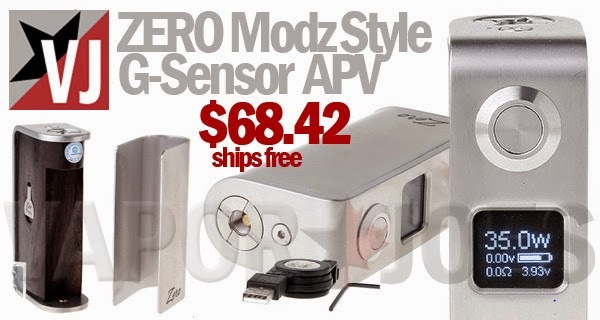 USE COUPON CODE JOE5 TO TAKE $5.00 OFF THIS MOD. Here is another mechanical box mod being served up. Seems China now has its eyes fixed out the unregulated side of the community. These boxes are inexpensive and effective. Everything you need for rebuilding in one neat package. Love it! Made of Aluminum with plastic easy-access thumb screws. Hidden compartment with rubber stopper for storing rods. This bad boy includes 4 different size Phillips heads and 4 different flat heads. Solves the problem of having to keep more than one screwdriver for your different atomizers. Heads are stored right inside the screwdriver! Just unscrew the top. Everything comes neatly packed in leather style case. Also included is organic cotton and some Kanthal wire to start you off. Ships from the USA – Shipping is free. The Dovpo GX-200 is a mech mod with safety features,It is like a Mechanical mod with a protection function. The man from Israel – Yaeliq. The man with the magic elixir! Vapers from around the world love his liquids! Today he is running a sale – just $10.00 for 100ml’s of juice. China has been busy working on mechanical box mods. This mechanical box mod takes 2 x 18650s and copper contacts. I like the choice in button and the box itself is unique looking. The enchanced 510 connector is a big bonus. Im hoping they will start selling those 510 connectors on their own soon.